This is my heart for the Worship Night. That we can lay everything else aside for an evening and connect with our Maker. It’s in those sacred moments that we are renewed. 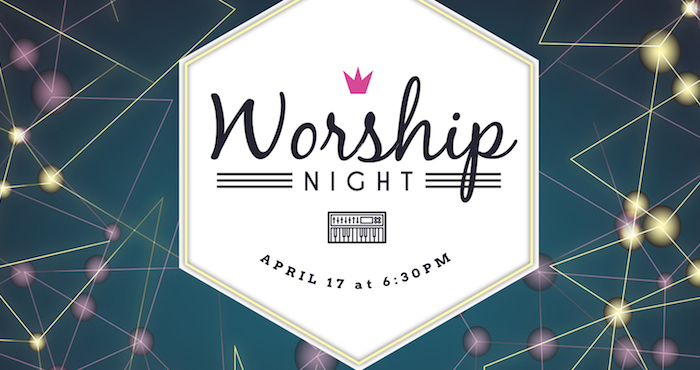 I would love for you to experience this Worship Night with us. Let’s see what God has in store for us. For you. We will be singing songs you know and some new ones too. You can listen to the music ahead of time on YouTube and Spotify.